The British Gazette » The autumn Budget 2018: The theft of Brexit! Today at 3:30PM, the Right Honourable Member for Runnymede and Weybridge, Hapless Hammond will stand up at the dispatch box and deliver the first budget statement on a Monday since 1962. It will be a curious thing as it will also be the first (and hopefully only) hypothetical budget statement delivered. This because no chancellor since the first, Eustace of Fauconberg – who combined the job of Chancellor of the Exchequer of England with that of Bishop of London – has ever delivered a hypothetical budget! Indeed, of Chancellor/Bishop Eustace the idea of delivering a hypothetical budget would have horrified him! Doubtless because he would have known that his Royal master, King Henry III of England would have been furious; and infuriating King Henry III was most definitely NOT a good idea! The reason of course that the budget Hapless Hammond will deliver is hypothetical will be that it will be based on the provision that a no deal Brexit does NOT take place! As each day passes, the intentions of this malign collection of delinquents that are masquerading as Her Majesty’s Government is becoming increasingly clear. It is to prevaricate and procrastinate in such a way as to manoeuvre M. Barnier into being the “guilty party” for delivering the prospect of a no deal Brexit. HMG wants to appear as having been entirely reasonable and diligent in offering solutions that it claims are practical and workable when they are in fact impractical and unworkable! Of course, the proverb, “procrastination is the thief of time” comes immediately to mind; probably the best known quote of the poet, critic, philosopher and theologian, Edward Young. Indeed, it can reasonably be said that by “stealing” the two years allocated in the Article 50 clause, HMG have in fact, stolen Brexit! You see, as well as manoeuvring M. Barnier, HMG is also seeking to manoeuvre Comrade Corbyn. Here there is a contrast. This because it is clear the wily M. Barnier knows that he is being “played”. That he is going along with it is because he is clear as to HMG’s intention and since it fits in with the EU’s own is hardly going to object! HMG’s intention of course is to end up with the prospect of a no deal Brexit and manoeuvring the EU into delivering the response to the UK’s inevitable request to extend the A50 clock: That the time extension will ONLY be granted if there is a second referendum! This will likely all take place in February/March 2019! The reason for running right “up to the wire” is to remove the option for a general election, for it will be the EU and not the UK who will dictate that A50 will ONLY be extended for the purposes of a second referendum and NOT another general election! There is also the FACT that being so close to the prospect of the chaos of a no deal Brexit, the markets will at this point be extremely “jumpy” – which will help the Remain campaign – as will the markets reacting positively to every poll indication in favour of Remain and reacting negatively to every poll indication in favour of Leave! What this means is this: the long suffering UK electorate will be presented with a binary choice: The status quo ante June 23rd 2016 OR the chaos of a no deal Brexit! Thus Hapless Hammond’s hypothetical budget will only become an actual budget IF the UK electorate votes to remain within the EU and cancel Brexit! 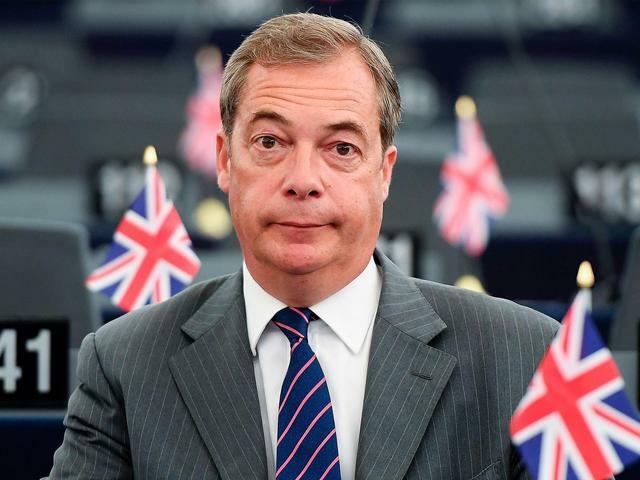 Of course, such as Nigel Farage will be campaigning vigorously for a no deal Brexit as will all Kippers – with one notable exception – Moi! The Kippers will claim that there is nothing to fear about a no deal Brexit and that Shangri-La awaits! Of course, whilst Nigel Farage will be 100% correct in stating that Brexit has been betrayed, he will be 100% wrong in his belief that a no deal Brexit will not result in chaos!